The founder of Osmosis Skincare, Dr. Ben Johnson, created the Colour line because he recognized the importance of women using makeup that would not be detrimental to their skin. Many skin care companies do not offer separate makeup lines, leaving women who use their products often using makeup that does additional harm. With this product line, Dr. Johnson has ensured that women will receive additional skin-nourishing benefits throughout the day. The makeup products are formulated with natural mica as well as ingredients such as peptides and antioxidants to help continue the correction encouraged by the other beauty products used throughout the entire day. Many regular makeup products contain harsh chemicals that can clog your pores and irritate your skin. Mineral makeup does not contain these chemicals, and Osmosis Colour makeup products are all mineral-based. Using mineral makeup can help prevent blemishes and other types of skin problems. It also provides you with coverage that gives you a natural-looking and flawless appearance without the heaviness and caking of other makeups. 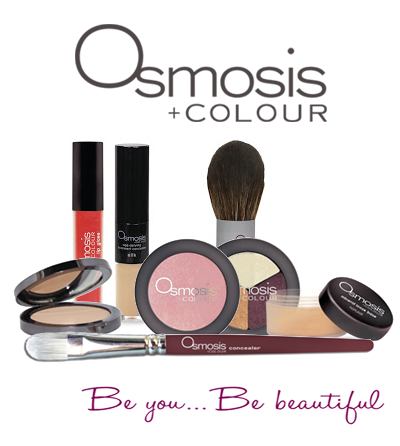 To see for yourself, try the Osmosis Colour makeup line today.